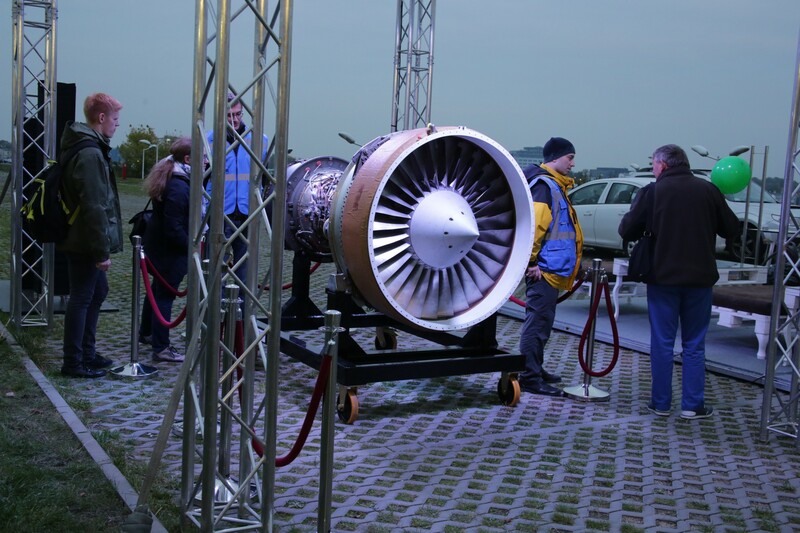 On October 16th for the fourth time the EDC stand was available for guests during “6th Night at the Institute of Aviation”. All GE businesses were involved in creating visualizations presenting their work scopes at a stand themed “From an idea to a product”. 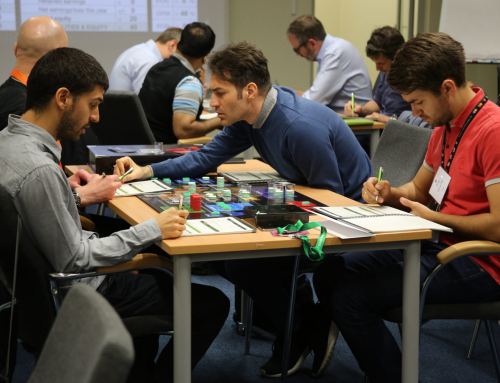 Our guests had the possibility to talk with employees working in the aviation, oil & gas and energy fields. 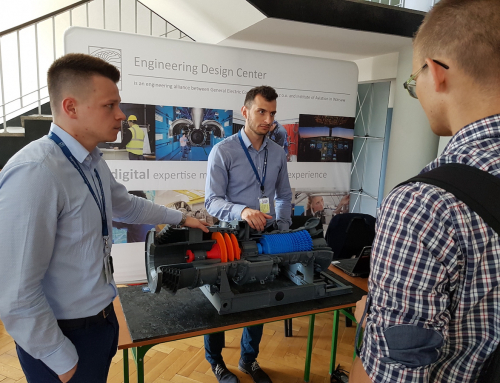 It was also a great occasion to ask EDC employees how a jet engine and gas turbine work, why we use 3D printing, how to design an airplane wing, learn about subsea technologies (extraction of hydrocarbons), and touch a real aircraft engine hardware. On this particular night visitors could also take a look at modern chassis, materials, repair laboratories and Poland’s largest low-speed tunnel. What is more, for the first time since the EDC Component Test Laboratory opened in 2014, it was available for our guests. 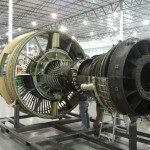 The aviation fans had a great chance to see the giant CF6 engine and visit our educational engine laboratory. “It was a really exciting and interesting time for me and my two sons. During the EDC engine laboratory visit I have touched real aviation engine for the first time in my life. I was really surprised that in Warsaw, Polish engineers work on development of world class aviation engines. Aviation fans, as well as children, were able to find a lot of attractions. Organization and atmosphere were perfect – I really like the special light illumination which was installed around the whole area. 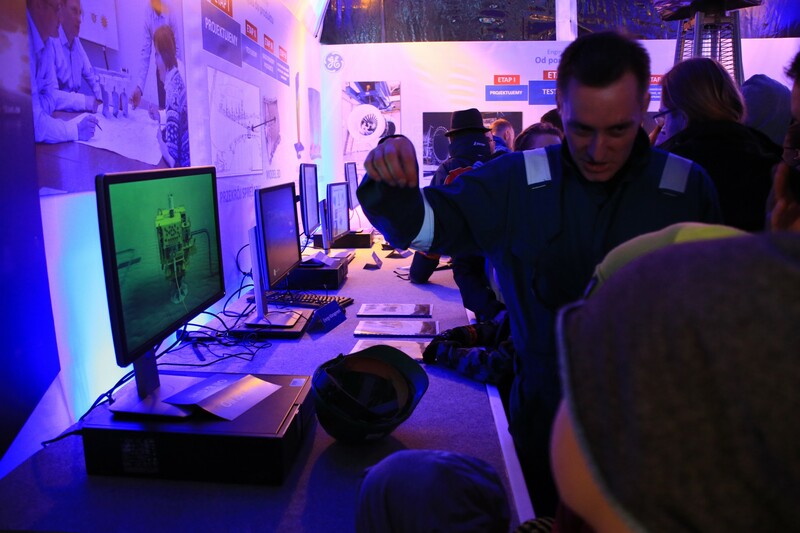 I’m sure I will take part in the next edition of the Night at the Institute of Aviation.” – said Paweł, a visitor. We would like to thank all EDC volunteers helping in organizing this event and all visitors who joined us in celebration of “6th Night at the Institute of Aviation”. The organizer of “6th Night at the Institute of Aviation” – the largest educational event in Warsaw – is the Institute of Aviation. Its aim is to promote the aerospace sector and engineering professions in Poland. This year almost 30,000 people came to see airplanes, helicopters, gliders and flying drones. The visitors could also watch movies, see a photo exhibition, get on the flight simulator or learn interesting facts about work in the field of engineering. To see the photo gallery from the event, click here.